Goes on smooth. Nice soft colors. Natural looking. Very luxurious moisturizing ingredients however I wish that there was a little more color to the gloss. This smells very good and is very moisturizing, and does not irritate my lips. But the only gloss it gives is a clear sheen, in which the color does not appear. Ingredients: Organic Caster Oil, Organic Coconut Oil, Organic Hemp Seed Oil, Organic Jojoba Oil, Castor Wax, Organic Carnauba Wax, Vitamin E (sunflower derived). May contain: Wild Harvested Candellia Wax, Organic Lime Essential Oil and Organic Cilantro Essential Oil, Organic Strawberry Extract. Color Ingredients: Mica, Iron Oxides, Titanium Dioxide, +/- Manganese Violet. 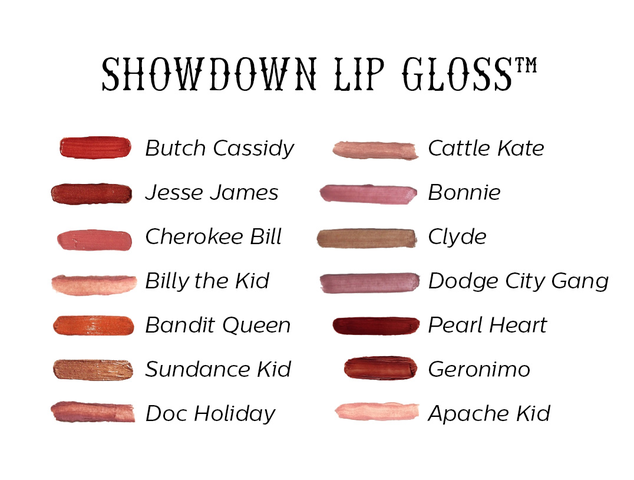 Showdown Lip Glosses provide a seamless, shiny finish to any lip look. 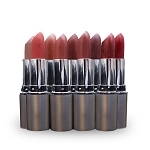 For the best results, start with Go West Lipstick to give your lips an all day color. Then apply your favorite Showdown Lip Gloss for a luscious glossy finish.